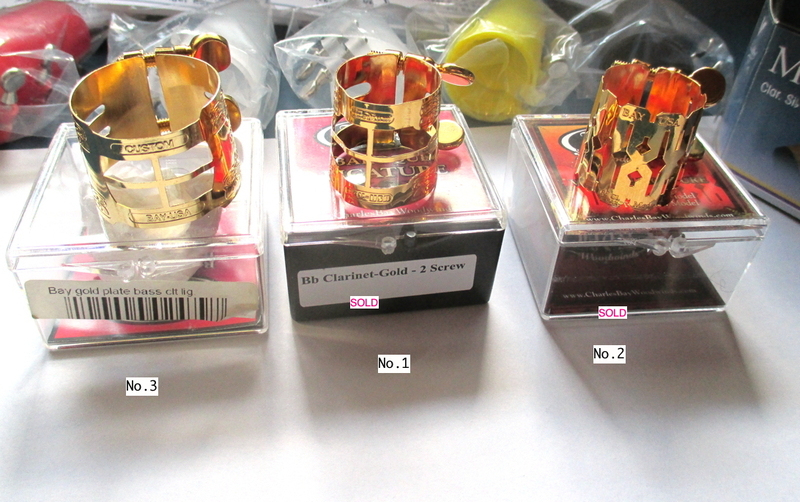 The items will be shipped from Denmark. Sales are private meaning that returns are not accepted unless agreed upon on beforehand. The items are sold as is. Therefore, please ask all questions before buying. - All the ligatures are inverted models, i.e. screw on top. - All the ligatures are new, only play-tested, except the Harrison ligatures. - All are for Bb Clarinet, except No. 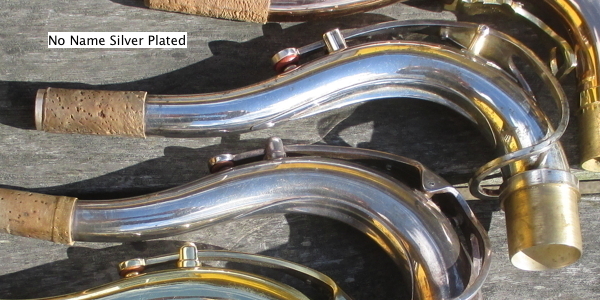 3 which is for bass clarinet. 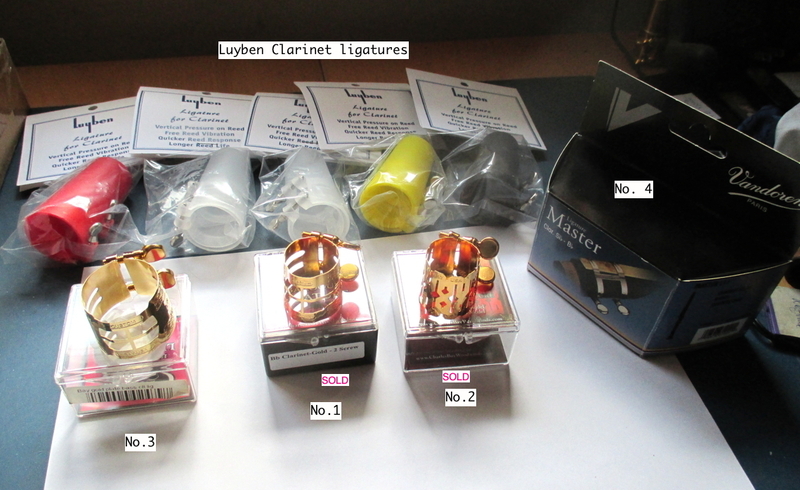 Luyben ligatures are in my opinion the absolutely best ligatures for clarinet. Easy to use, and secure. Only manufactured for clarinet. Can be used for slim line alto mouthpieces also. These are in unopened packaging and with cap included. Two white and one each of red, yellow and black. Price: 30 Euros. The Charles Bay ligatures are just as good as the Luyben, except that they are more fragile and cannot be tightened as hard. They give the most pure tone of all the ligatures I have tried, especially on hard rubber mouthpieces. And they are beautiful. 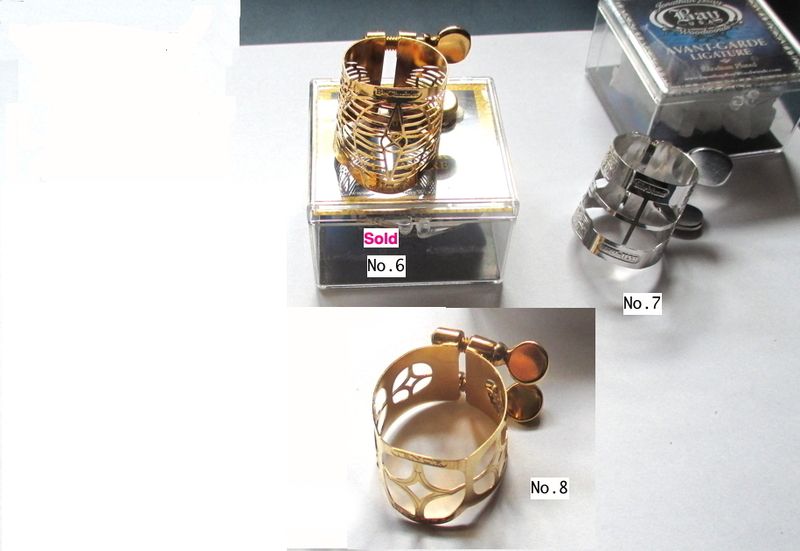 They are difficult to find, and most models, except the Baroque, are made to order which means several months waiting. *) The Rico (d'Addario) caps for for H-ligature works well with the Bay ligatures.